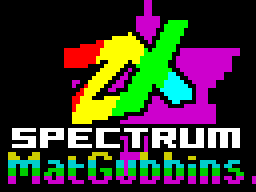 It's a demo for ZX Spectrum 48K with AY-interface. Russian Hitler Putin does not give the download link. He fights Durov in Telegrams and blocks Pouet, downloaded from TOR Browser via proxy Serwer. The AAA website has a working link. Here's YT video in better quality 720p50Hz (However, the music is played in ACB stereo but I know that Yerzmyey uses mono. Sorry for that). why not release at speccy.pl party?? little but great prod!